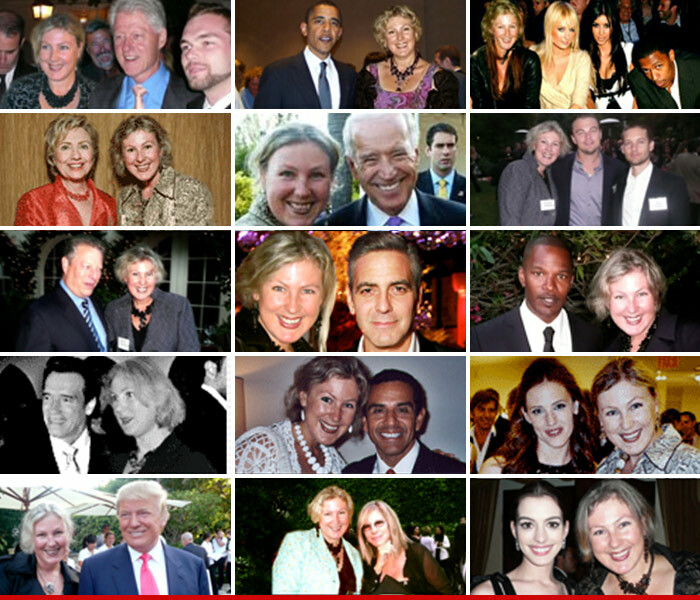 Svitlana Sangary, a Los Angeles based litigation lawyer who promotes value-driven legal practices, has been suspended from the state bar for superimposing her face onto photographs of celebrities and politicians. The imagery shows Sangary posing with celebrity figures, while trying to mirror their expressions. 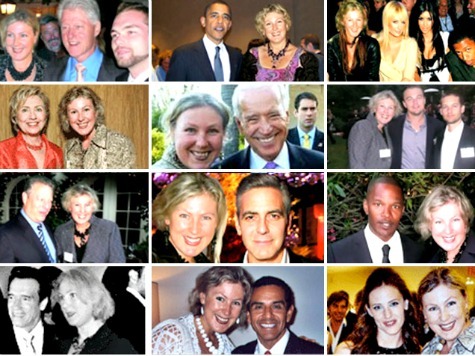 The misguided attorney apparently wanted to attract more clientele to her boutique law firm by pretending that she rubs elbows with the Clintons, President Obama, Leonardo DiCaprio, George Clooney, Barbra Streisand, Donald Trump, and Paris Hilton, to name a few. State Bar Judge Donald Miles filed four counts against Sangary on Sept. 11., calling her actions “deceptive” and “false advertising.” He recommended that she serve a three-year probation, in addition to the suspension. “Svitlana Sangary caused me so many problems,” one review read. “Svitlana Sangary is nothing less than a crook,” read another. SANGARY’S American dream has come true, as she has been able to achieve a point wherin now, in her thirties, SANGARY is a prominent donor and philanthropist, supporting important social causes, who had recently received the email from President Obama, with the subject line ‘I need your help today’, asking SVITLANA SANGARY for an additional donation. God Bless America! The “email” that Sangary received from President Obama bears the same headline as a newsletter that was forwarded by the Democratic National Committee.